Quilt back is also completed. I used the leftover bits to create four blocks like the ones on the top, and inserted uncut blocks of the original strips. With sashing I was able to get a 12″ strip to insert in the back. Now I’m ready to assemble the quilt – I’ll get that done later today. My next task is to create an embroidery design for quilting the quilt. 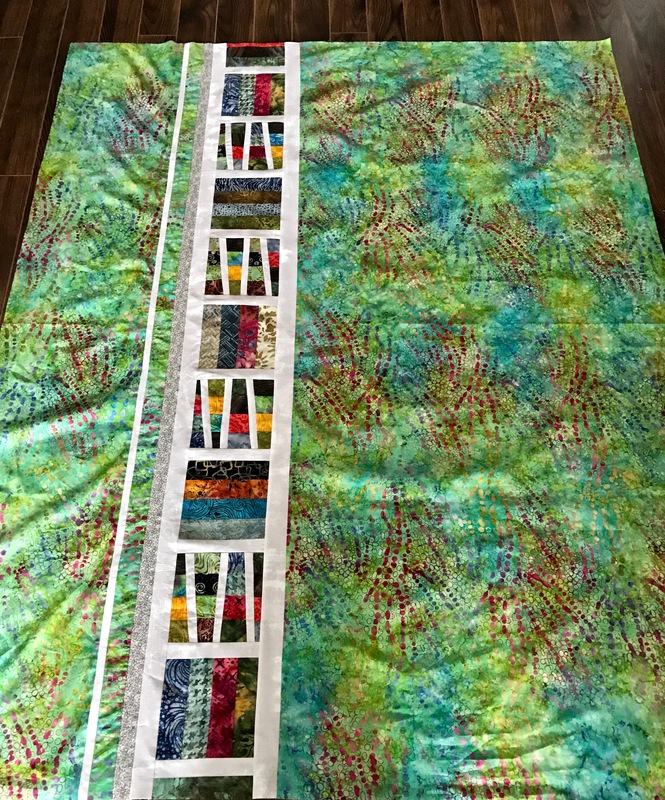 The back looks wrinkled even though I’ve pressed it, but it will be taut once I’ve pinned the layers together and hooping each block to quilt it will tighten all the layers so the quilt will lay flat.